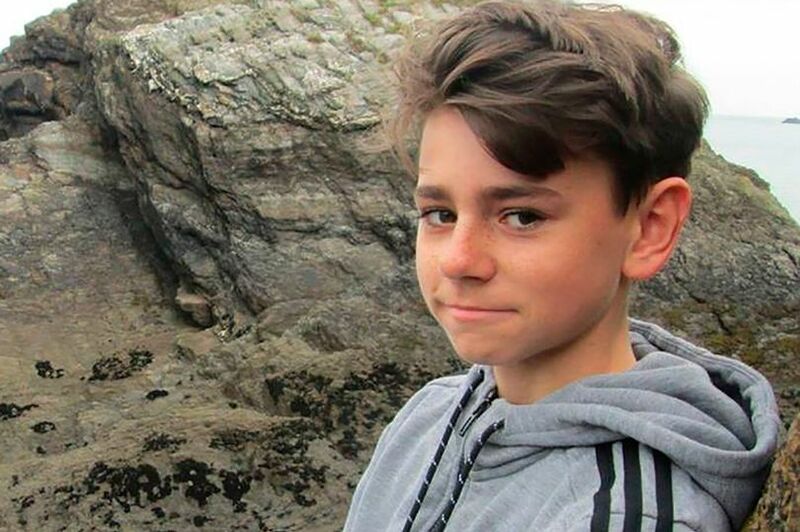 A healthy schoolboy died after being hit in the chest by a football when out playing with his friends, an inquest heard. Keelan MacKnight, 15, suffered “concussion of the heart” after he was struck below the ribs during the kick-about. The rare medical condition usually happens in America when youngsters are hit with a baseball or hockey puck. Experts said Keelan was hit at the exact nanosecond that the heart's system is vulnerable. He collapsed onto the pitch in Aylesbury, Bucks, in July after suffering a fatal heart arrhythmia. Pal William Freeman told Oxford Coroner’s Court the tragedy happened during a game of “headers and volleys”. In a statement he said: “Keelan took his turn in goal. The ball came towards him and he put his hands in the keeper save position. “The ball missed his hands, hitting him in the centre of the chest. The teen was flown by air ambulance to Stoke Mandeville hospital but tragically died the next morning. Consultant pathologist Dr Lucie Winter said the medical phenomenon that killed Keelan almost always resulted in death. She said: “It’s incredibly rare. It does occur in young athletes. We're not sure why it happens. “It causes a sudden cardiac arrest which is almost universally fatal. “There's just a tiny fraction of a second, a window in the cardiac cycle where the heart is vulnerable.